As General Elections approach, most of us are busy supporting one party or the other. We want a corruption free India and Aam Aadmi Party gave numerous people a new hope. 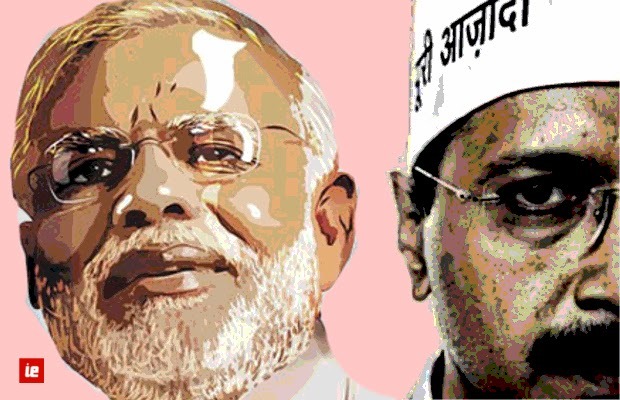 In this article I am not going to praise AAP or defame BJP but will lay down some analysis. The detractors are free to condemn and oppose but I expect to just prod your mind over few facts. Lok Sabha consists of 545 members and these members are the elected representatives of various parties. Currently the three main parties according to everyone in India are: Congress, BJP and AAP. What everyone assumes right now that Congress would weed out this election, BJP would come into center and Modi will be prime minister and AAP will be game changer. A large number of people do not want Modi to be PM as they think he is communal, corrupt and so on. But lets not get into the gory details of the differences between NaMo, AK and RaGa. Lets see who all will be the actual game changers in this elections: SP, BSP, TMC, Left, DMK, JD(S), BJD, RJD, JDU, TDP and YSR Congress. I know most of you must be surprised and would be laughing on what I am writing and that does not make sense. Most of the guys will say that these are the parties only at state level and they don’t stand at the center. Some would also say that even if they win, they will only get a few seats in Lok Sabha and that would not matter. But is that the reality? Let us just try to count which states these parties are supposed to capture, just for a minute — SP and BSP (Uttar Pradesh), Left (Kerala), TMC (Bengal), DMK (Tamil Nadu), JD(S) (Karnataka), BJD (Orissa), RJD and JDU (Bihar), TDP and TDP, YSR Congress and TRS (Andhra). Let us just once count the seats total in these states ~ 80+20+42+39+28+21+40+42 = 312. That is indeed not a small number well if we look isn’t that number enough to get a majority and run India. Well most will disagree but in the worst case suppose these guys win all then we will have “Third Front” the best India can get. A piece of advice, leave India if third front ever becomes a reality. But, If the Third front does become a reality, then what? 2) No one listens to other and everyone tries to share all the departments, maybe like hey you take Home, I will handle defense, but railways is his, no no!! foreign is mine !!! 3) Good possibility of another elections, hey but elections occur at cost of no money, I heard only 5 billion dollar, such a low amount, we can easily afford another. 4) What follows appeasement, reservation, scams (at double the speed, maybe exponential) .. oh!! some of us who are lucky will be able to be part of a bunch or riots..
5) Rapes, murders, blackouts and blackmail you can read every day with your morning tea and hope that you are not part of something like that. 6) Bureaucracy powerless, maybe Khemka got less transfers, another might get every day a transfer. At least someone would enjoy traveling. 7) Maybe we can think of enjoying a time like Syria, Libya or Iraq. Oh!! I forgot most of us are rationalist or fundamentalist, who want freedom of expression. Well I dare you or double dare you to try your fundamentalism then. 8) There would be deep outflow of FIIs and multinationals would back out of investing in India. 9) The Great Indian Budget would soon be called a great Indian scam. 10) Institutions like CAG, CBI, IB and even the honorable SC would loose their meaning. But, many will say such a scenario would not come into existence or all these parties won’t form an alliance. Thus they won’t get the required numbers and so all is well. Thus no third front. Really!! Well here is the part where reality comes crashing down. If this front lacks seat, they would willingly support congress and whoever thought UPA-2 was bad, well wait for UPA-3 (where congress will not have power at all and third front would be almighty) to witness yet another drama. These parties won’t support BJP as by supporting BJP their card of “so called secularism” is open to all. AAP would neither support BJP nor anyone else, so even if it sat in opposition it is helpless like ever before. We would soon have mass protests and chaos in different part of the nations. Those who thought Indian economy is currently in ruins, well wait for post elections period as soon economy will be history. Most of these “third front” guys would not even try to curb terrorism in search for appeasement. Our defense would be powerless with no one to lead. And we have very good and peaceful neighbors surrounding us from all sides. I am not saying vote for Modi and BJP because they are better than AAP. I urge you to vote for a single party either Congress or BJP. You have given former an opportunity why not given latter once. Please don’t think about someone’s past image or his/her past, give that guy a chance. Your “so-called” demand for corruption free India and puissant India would not exist if India does not exist. AAP is not wrong, maybe the cleanest party today, but the reality is it won’t get more than 30 seats (that too is highly improbable). But whatever they do, they just reduce BJP’s vote count and reduce our future. I supported AAP for Delhi but for India its time to move on.